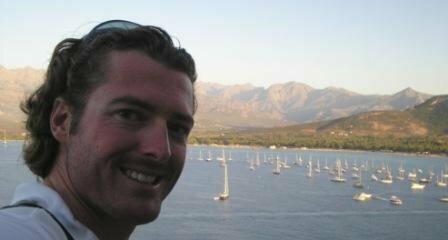 Hi, my name is Dominique and I wish you welcome on YachtUnlimited.Com! I was born in 1981 in Belgium, close to the North Sea and next to the river 'Schelde'. 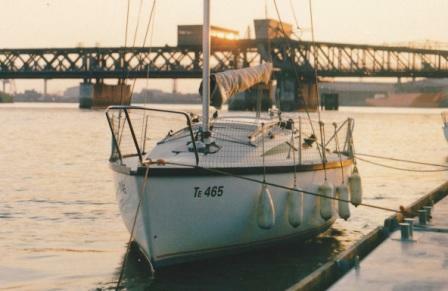 In 1986 my father decided to buy his first sailing yacht, a Bénéteau First 18. 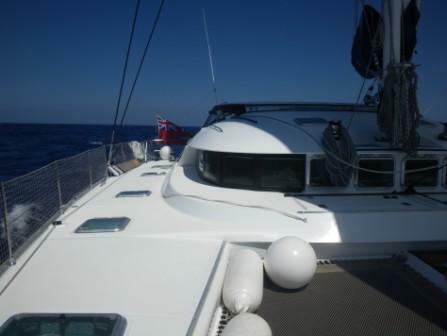 A wonderful fast sailing yacht, still trailerable behind our family car. The adventures and travels we experienced with 'Barbara' are countless! Boats and ships were coming natural to me. My grandfather and father worked on a big shipyard in my hometown. My grandfather was a carpenter who made the vessel's interior and my father was a programmer at that time. Unfortunately, the 'Boelwerf' shipyard went bankrupt in the nineties, but my love for boats and the sea stayed. All our family holidays were spent on the boat. We cruised Belgium, the Netherlands and France. And myself... still very young, as you can see. 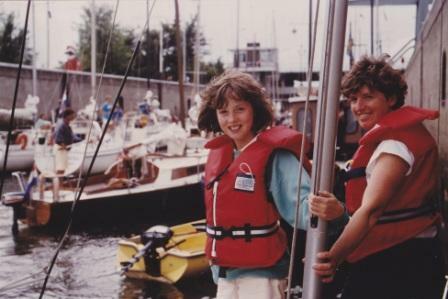 A few years later, I began learning the theory and followed some sailing courses. Eventually I crossed the English Channel for the first time. It was magic, sailing away from the land and behind the horizon to unknown places... Okay, it was just England, but for me it was a big deal, at that time anyway. I remember I also bought a bucket load of books, especially travel stories from all kinds of sailors. Travelling the world and crossing oceans were my new goals. 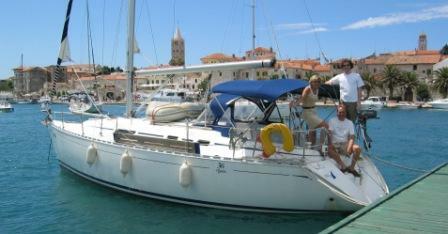 Then, we chartered a sailing yacht in Croatia. Beautiful! The weather, the nature, the food...the way I want to live! 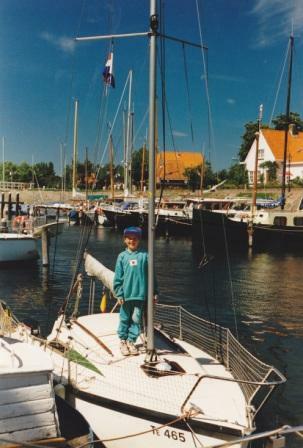 Still, at that time (1999), I didn't figured out yet how to make a living out of sailing. Also, my parents stressed me on the fact that a diploma is very important in life and that I can follow my dreams after I went to college. So that's what I did. I got my Master degree in Law and one month after graduation, I left for my first Atlantic crossing! 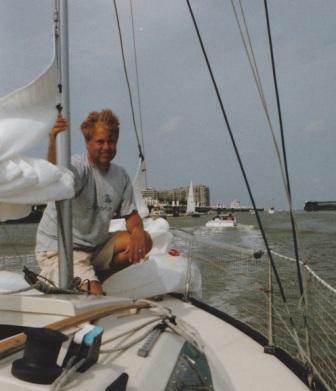 We sailed on a CNB Lagoon 500 to Annapolis in Maryland and left from the factory in France. This is where I met Larry (or Lawrence, as it is written on his passport). Larry was the Captain who became a very good friend and a kind of mentor to me. He looks a bit rough with all his tattoos, but he's made of gold! 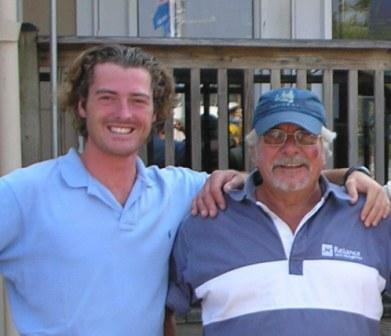 We sailed three Transatlantics together, two to Annapolis and one to Tortola in the British Virgin Islands. These sailing trips were huge mile builders and I decided to get my RYA tickets and have them endorsed by the MCA. Another Mediterranean crossing followed and then I became a yacht delivery Captain myself. During this period I worked for Reliance Yacht Management in England. In 2009, I wanted to move on and work on bigger yachts. Also for having a monthly paycheque instead of the delivery contracts that are based on one delivery at a time. I found myself a 'First Mate' position on a 30 meter (100') sailing catamaran. Richard was the Captain of 'Allures' and thought me a lot too. After one summer season, the boat was put on the hard during the winter since the financial crisis had hit the charter market pretty badly. 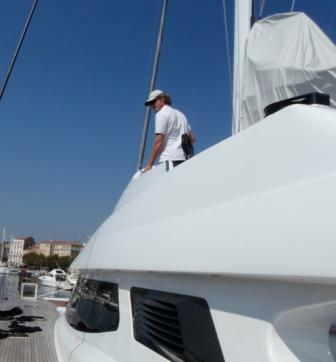 For some years, I was dreaming to work and live on yachts together with my girlfriend. 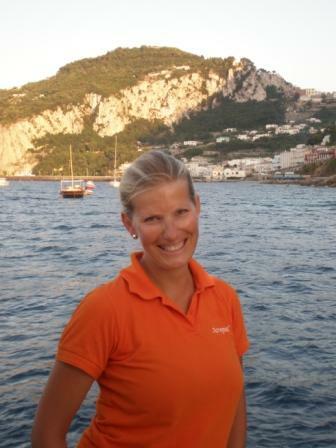 Not easy, since my partner Magdalena had nothing to do with boats. She comes from the Polish mountains! It took me almost six years to convince her to join me and in the end (2010), she did. She has never regretted her decision since then! We cruised mainly in the Eastern Mediterranean and spent the winter in Malta. There, the boat got sold and one month later, the next boat came by! She is a beautiful and fast wooden motor cruiser built by the renowned 'Esterel' shipyard in France. 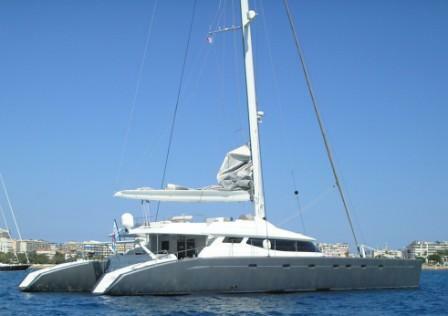 She is commercial and we cruise the whole Mediterranean with her. She is currently our Home!